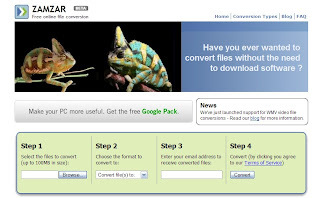 Zamzar is an online web tool that allows you to convert different files. It is simple, just upload your file, pick the format which you wanted, then type your email address, last step is waiting for Zamzar send a link to you. You can follow that link to download your new file. No register required.